One more Droid 2 rumor before we head into the weekend? 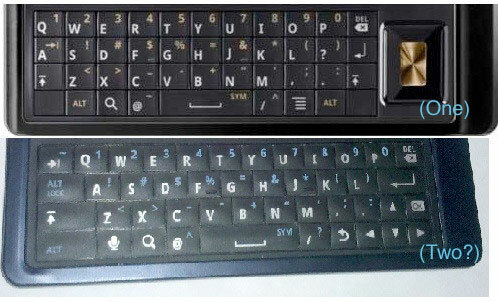 Engadget received the above photo from a tipster claiming that the bottom keyboard is the revolutionized Motorola Droid 2 keyboard. Apparently his buddy had one and that’s really all we know. If it is true, throw a party. This keyboard looks to actually be functional for more than 30 seconds at a time. Loving the puffy buttons and the missing d-pad. No more reaching right thumb! Cheers Patrick and everyone else!